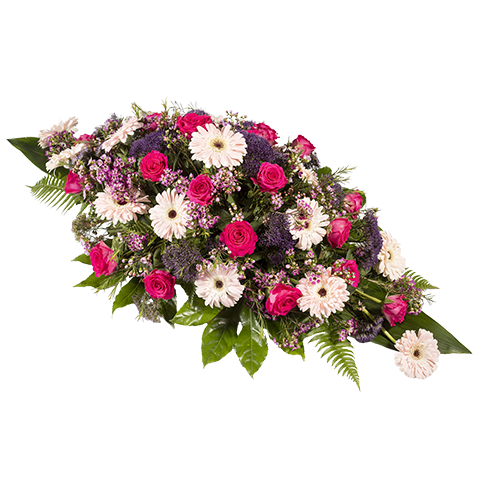 Send your condolences with this pink and lilac arrangement, composed of pink roses, white gerberas, and wax flowers. The bouquet can be delivered to the funeral with an added personalized touch. The bouquet consists of around 30 to 40 flowers and 100 cm of length.